Pratt’s State Regulation of Second Mortgages and Home Equity Loans — Southeast Region provides you with the information and guidance you need to comply with laws and regulations in Alabama, Florida, Georgia, Kentucky, Mississippi, North Carolina, South Carolina, Tennessee, and West Virginia. It identifies and explains the state laws and regulations that affect second mortgage loans and home equity lines of credit. Lenders engaging in second mortgages and home equity loans need to keep up-to-date with the myriad, rapidly changing state laws and regulations. 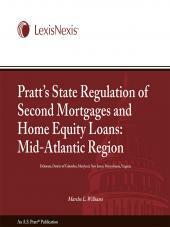 Regulatory examination of mortgage lending, plus a more proactive approach by government agencies to regulate mortgage brokers, mortgage lenders, and the residential mortgage lending industry, requires a dependable source of information for lenders that originate second mortgages and home equity loans. The SAFE Act requires states to adopt systems for licensing and registering mortgage loan originators. Every individual residential loan originator must be licensed or registered. 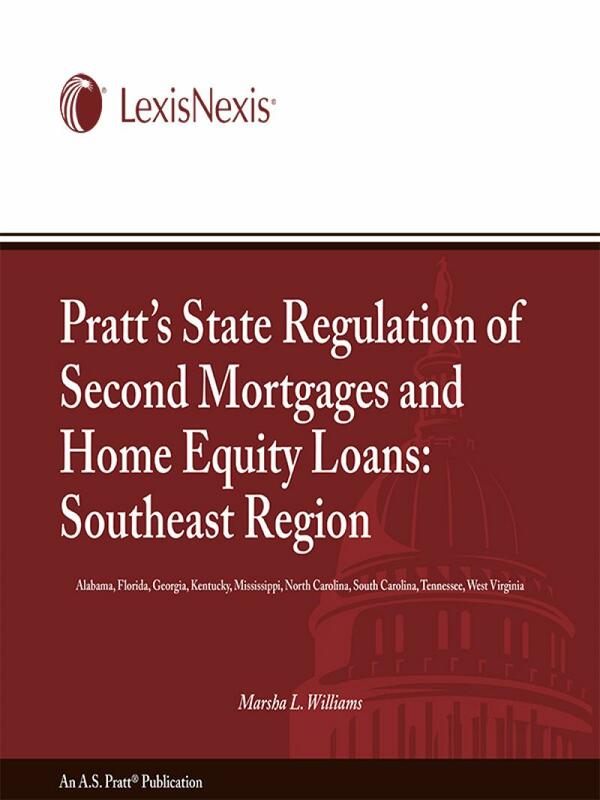 Pratt’s State Regulation of Second Mortgages and Home Equity Loans describes the principal laws and regulations applicable to the offering of junior lien loans, on a state-by-state basis, as well as the licensing and registration applicable to loan originators. Each chapter deals with one state and contains standard topic entries to make it easier for you to find specific information.